The most prolific of the other manufacturers to have produced lenses in the Praktisix/Pentacon Six mount was probably the Heinz Kilfitt Optical Works of Munich in former West Germany. Here are details of their lenses available in the USA in 1963, as reported in Al Gillespie’s Pentacon Six Newsletter No 2 of April 1975. Kilar f/3.5 / 150 3 5' 0" 14 oz 205 . Tele-Kilar f/5.6 / 300 4 9' 10" 35 oz 230 . Fern-Kilar f/5.6 / 400 2 32' 10" 62 oz 285 . All of these lenses have a pre-set aperture. "none of the "Fern-Kilare" over 300mm is useable on the Praktisix (except of course if mounted on a Multikilar). Being Fernobjektive with only one group, the angle of the rays is too steep to get by the mounting ring of the Praktisix." To these lenses must be added the Kilfitt variable converter, the Multi-Kilar. For details, see here. The full name of the zoom lens is “Rapid-Focus-Tele-Zoomar”. It was the first Medium Format zoom lens and is very highly spoken of. Like the other lenses, it was available in mounts for a range of cameras, and a Norita mount version is known to exist. A review of it in Pentacon Six mount can be seen on this website – see here. World-wide, this was the second Medium Format zoom lens to be produced. f/2.8 is a very fast aperture for a zoom lens, any zoom lens, and even more so for Medium Format. This lens has a full 2× zoom range. It would appear to be quite rare and I do not currently have any further information on it. The above data is based on published sources. I do not have most of these lenses. As an independent manufacturer of photographic lenses that were designed for use on cameras from a wide range of different manufacturers, Kilfitt offered interchangeable mounts for its lenses and in theory, any lens could be mounted onto any camera of that format or smaller. For instance, via a suitable adapter, lenses designed to cover the 6×6 medium format could also be mounted on 35mm (24×36mm format) cameras. 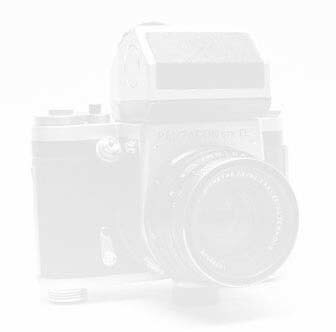 Obviously, lenses could (or should) not be mounted on cameras of a larger format that the one for which they were designed, since the image that they project onto the film will not cover the larger format (and almost certainly will not focus to infinity). a camera mount that could be attached to the base. Over the years, Kilfitt developed its interchangeable mount system, and I am aware of three different systems that he/the company used. KI This seems to have been a system used with the earlier lenses, principally 35mm cameras (but also for the front end of the Multi-Kilar converter, which can be used on Medium Format cameras). Patrice-Hervé Pont (see below) implies that this designation may be derived from the word Kilar. AN This was used subsequently for lenses for 35mm cameras and for some of the first Kilfitt lenses for Medium Format. Patrice-Hervé Pont says that this code is derived from the German word Anschluss (connection). Patrice-Hervé Pont reports (on page 63) that for the Pan Tele Kilar the AN system was used until 1966 and the WE system after 1966. He reports that for some other lenses the WE system was introduced in 1964. The camera mount would be attached to the base, which was permanently or semi-permanently attached to the lens. “Semi-permanently” means that a user or a technician with a small screwdriver and a steady hand could remove the base and replace it with something different. However, this is not a job to be done “in the field”, nor normally to be done by the user. Like the different base systems, each camera mount had a code. For visitors to this website, the main camera mount that is relevant has the code SI (for “Praktisix” or “Pentaconsix”). Thus, the full name of the Praktisix/Pentaconsix camera mount for the WE base is WESI. It would appear that the name of the Praktisix/Pentaconsix camera mount for the AN base is ANSI or ANSIX. With three base systems, dozens of camera manufacturers and dozens of Kilfitt lenses (each of which had its own unique code), the number of Kilfitt codes ran into the hundreds. Most of them (over 350 codes!) are listed in the book by Patrice-Hervé Pont, although he states (p. 98) that his list is certainly not complete. a serial production number usually consisting of four digits, and rarely of five. When different versions of a lens were produced over time, the prefix number usually changed between each version. 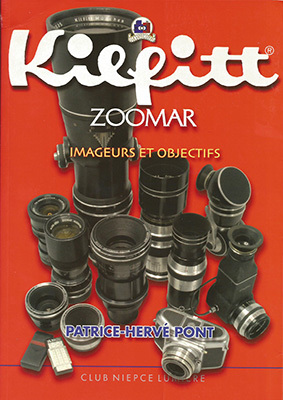 “Kilfitt Zoomar Imageurs et Objectifs”, published by the French Club Niepce Lumière (in French, naturally). To see a detailed review of the 300mm Pan-Tele Kilar, click here. To see an introduction to the 500mm Kilfitt/Zoomar Reflectar, click here. To go to the lens test section, click here.